Track every time your game is started, and best of all it take no code or scripting at all to setup tracking for any game or application built on Visual RPG Studio (VRS). Once you have purchased an license for VRS just signup for a free LastEnd.com account with the same email address that was issued with the license. 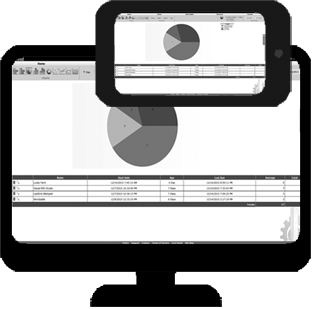 Then any game and/or application will automatically be tracked and displayed using the LastEnd charts (Displayed in the image above). 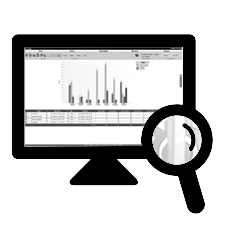 Delve deeper into your program statistics to find hidden patterns in data! Data mining helps you recognize patterns of customer behavior and act on these findings, providing an opportunity to target marketing efforts and increase sales and/or play counts. 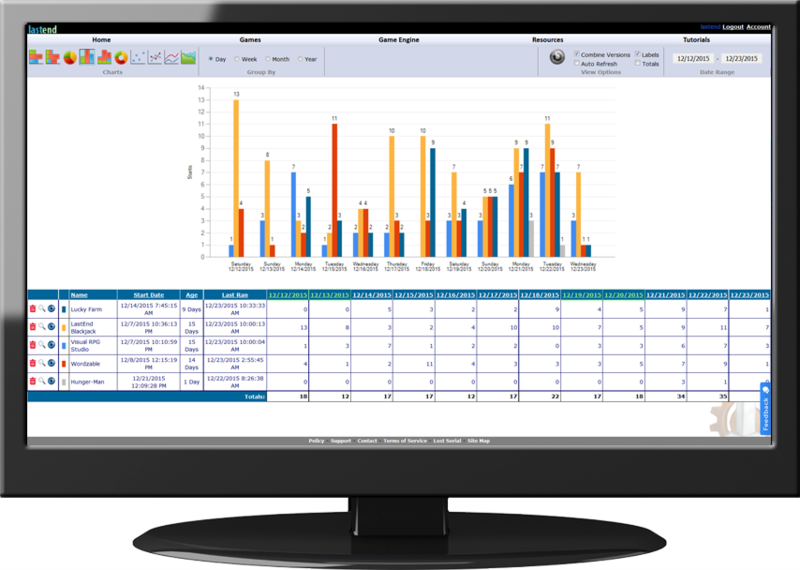 See what version of your program is being ran and generate reports for any date range. Monitor your game traffic for anywhere in the world on any device. No matter if it's your computer, tablet, or phone you are just a click away from your valuable data. Using the auto refresh feature you can sit back and simply watch your stats increase.